Halloween is the time of scares and great new airsoft Gear! AirSplat has recieved tons of new accessories like the Bravo Mesh Wire Face masks. Some great new Gas guns like the King Arms MOE M4 and the KWA ATP pistol!!! The PolarStar PR-15 EPAR (Electro-Pneumatic Airsoft Rifle) takes advantage of the revolutionary Fusion Engine. This completely original design by PolarStar Airsoft allows you to have the first gun in the history of Airsoft that can be completely adjusted on the spot via the onboard computer. Not only can you adjust your FPS, but also your Rate of Fire, Firing Mode, Nozzle Dwell (for BB feed fine tuning), and more. The Fusion Engine takes place of the AEG Gearbox as a direct drop-in. It is powered via a High Pressure Air (HPA) setup and only requires a small battery (7.4v-9.6v NiMH or Lipo recommended) to power the onboard computer known as the Fire Control Unit (FCU). The Fusion Engine is completely adjustable via the FCU and by varying the pressure from the HPA system (90-120 PSI). The gun comes equipped with PolarStar’s Blue Nozzle (355-405 FPS on the Carbine). Optional Color-coded nozzles are available to be able to move the Maximum FPS Range up or down. Learn everything you need to know about SB 798, FAQ, what can we do here. Remember, always check out our newest products! Updated daily! Holy cow daily special updated! Your #1 Airsoft retailer in America. Your favorite manufacture’s representation in the USA. Your source for EVERYTHING you need in Airsoft. Join us on Twitter for Exclusive Coupon Codes! Join us on Facebook for Exclusive Coupon Codes and #1 Airsoft updates in the industry! Subscribe today! Visit our channel and click subscribe for a chance to win and free Evike.com TV! Join us on Evike TV for great video reviews and news updates!! There’s an upgrade underway for the forum software. The forum may show errors whilst this takes place. We should be back up and running shortly. This upgrade addresses various errors and issues we’ve been having since the latest software release. Arnies Supporters, Airsoft Odyssey has yet MORE video from the October AAF4 event. 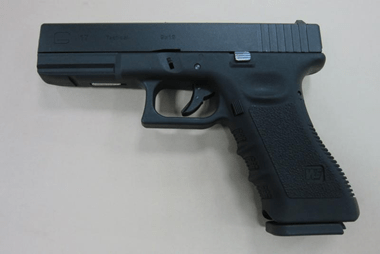 The blog has a video and ARTICLE about a great sport Airsofters should be interested in to hone those pistol shooting skills, and give you an excuse (as it you need one!) to get out shooting more! and of course if your inspired The Grange have kit and are running events for those interested. Hey Arn, Here’s a montage of the SIG 556, both the carbine and shorty versions. Hi all, We at Badger Tac are really happy to announce that we are 1 of the 2 selected retailers for the Celius Technologies M4 MX2 CTW’s for the UK. The MX2 version of the CTW is a massive improvement over the original series 1. With much improved and more robust internals, these really are a sensible alternative to the much loved PTW’s & are less than 1/2 the price! They retain the same great realistic weight, feel & rate of fire as well accepting real steel rails and accessories. All the range of Celius M4 MX2 CTW’s have their own unique serial number and come with 1 years internal parts warranty, terms & conditions apply, backed up by the UK distributor. As you may or may not know, the Celcius range of accessories and most internal parts such as motors etc are compatible with the Systema PTW series. As well as that we also have our first batch of Vanaras accessories & upgrade parts including 120bb Poly Mags in Black & Tan at just £19.99 each, 6.03 barrels (£43.99) & upgrade springs (£12.99 – £13.99) which are again all compatible with the PTW series. Our main order of more M4A1’s, M4 CQB’s, all internal parts and accessories are arriving around 08/11/11. There are also of a couple of special editions in the pipeline too. More on that when they arrive. All the above are on the website for your viewing & ordering pleasure!! AATV reviews two average AEG M4s: not too expensive, but not the cheap china clone stuff. It’s the Classic Army LWRC M6 and the Redwolf License Stag Daniel Defense M4 Socom Limited Edition (gotta love that easy to remember name). With a XDM .40 shooting "off" some choices had to be made. 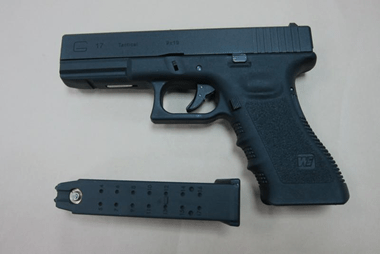 This particular XDM was consistently shooting high right with all loads. So get rid of it or fix it? Fix it means making it shoot point of aim in a time efficient and durable fashion. My research led me to Dawson Precision and his excellent fiber optic, precise, steel sights for the XD series. Install was not a snap but once on I became an enthusiastic fan when shooting resumed. The click adjustable sights solved the POA problem easily and now the gun has wonderfully precise and clean sight picture, exactly what I was after. Light pipes are exchangeable too. Value is high considering quality. They seem to offer excellent durability and precision and they are highly recommended in TNP.////////////////////////Nutnfancy Likabiliity Scale: 10 out of 10////////////////////Music licensed from TNPr www.youtube.com/user/bryanisms…thanks dude! **All Airsoft Guns Require 1/4" Orange Tips"
Greetings fellow zombie hunters, for a very special episode of MaxSplat. Today’s episode deals with the prevalent and very real threat of the undead horde and their blight upon mankind. Learn the basics to survive a zombie encounter, from zombie tpyes, to basic defense. Remember, stay clean, stay sharp, stay alive!! *Bonus Question* How many times does our training zombie- Mark the Zombie – Die?? In this Episode of Airsoft GI TV, we decided to combine Dubstep with everybodys favorite hobby, Airsoft! So sit back, turn your speakers (with lots of bass) up and enjoy! 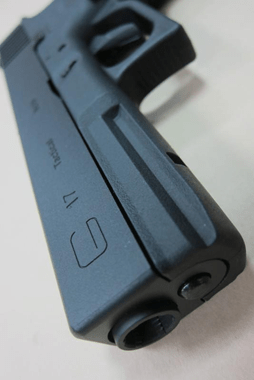 Les Baer 1911 Ultimate Recon 5" GBB Airsoft Pistol Preview! Sneak preview of the new Socom Gear Les Baer 1911 Ultimate Recon 5" gas blowback airsoft pistol. Fully licensed, full metal, c02 or green gas power. Look for these at your local airsoft retailer soon! RA-TECH has a new video to share. Viking Tactics (VTAC) is directed by Kyle Lamb, a well-known retired tier-one special forces operative. The VTAC Extreme Battle Rail are designed by Viking Tactics (VTAC) and manufactured by Troy Industries. It is an one-piece, free floating rail for AR15 systems. The unique lightweight design helps reduce heat transfer and allows for a faster target acquisition. The rail is easy to install and features an uninterrupted top M1913 rail that allows the mounting of optics and backup iron sights. 15% off at Airsoft Park to celebrate Halloween! Hi ArniesAirsoft! The Swedish Airsoft Website www.Airsoft.nu has made a review about the new Topcom Twintalker 9500 Airsoft Edition. It’s a walkie talkie for the 446 MHz band (also called a Private Mobile Radio, PMR) that is made for us Airsoft players. 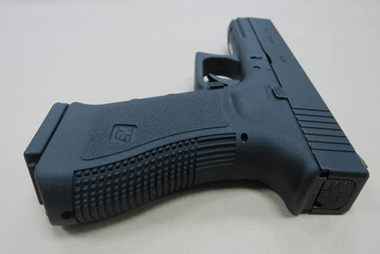 Crosman’s Official Word on Thumpy’s Marines Airsoft Comments…and YOUR COMMENTS, TOO! Have a Great Weekend…and shoot some friends for me! Evike was sent a sneak peek at WeTechs new series…. 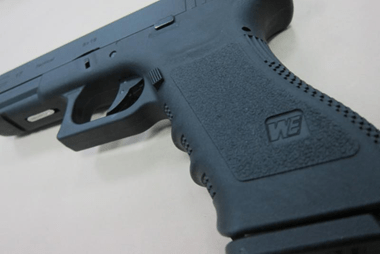 The WeTech G17.. 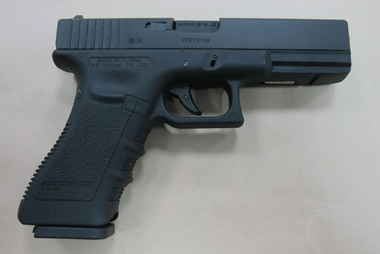 Yes WeTech has produced the G17. Evike is looking forward to getting the first test model to our office. Make sure you watch our YouTube Channel for the review / sneak peek of it!! “Elite Force” is a division within Umarex USA with the main focus on competitive airsoft products. Our division develops, designs, and markets products for North America. Umarex Germany distributes most of the same products worldwide. We work closely with suppliers such as VFC and ARES to produce quality products under H&K, Beretta, Walther, and Elite Force brands. This division will continue to develop and grow for years to come offering consumers, dealers, and distributors a full range of quality products backed with an outstanding service program. WWW.ELITEFORCEGUNS.COM – is now live. This website has information regarding our products, authorized dealers, and reviews. This is a great place for consumers and dealers to submit reviews on products that they use or sell. At the end of the review, we allow them to put their website or link back to them.